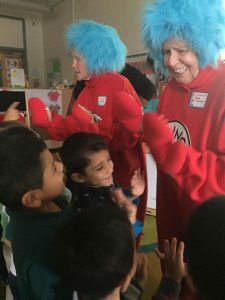 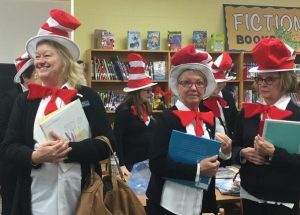 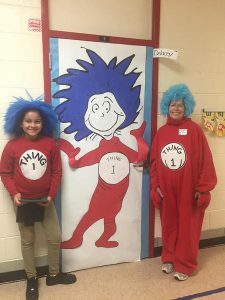 On March 1, 2018, Assistance League of Nashville celebrated the birthday of Dr. Seuss by reading at Paragon Mills Elementary. 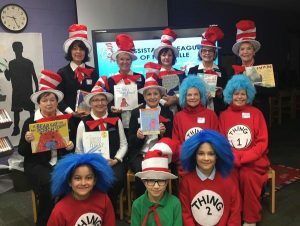 Ten volunteers read to grades K-4 from the books provided by librarian, Teresa Davis. 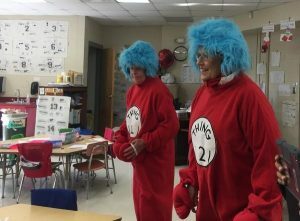 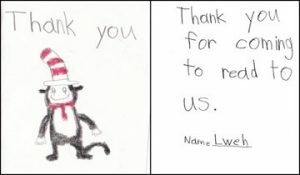 A highlight for the students is having “Cat in the Hat” or Thing 1 or Thing 2 visit their classrooms. 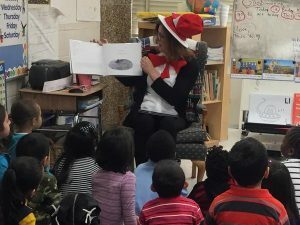 On March 3, 2017, fourteen volunteers celebrated the birthday of Dr. Seuss by reading a book to the children in grades K-3 at Paragon Mills Elementary School.